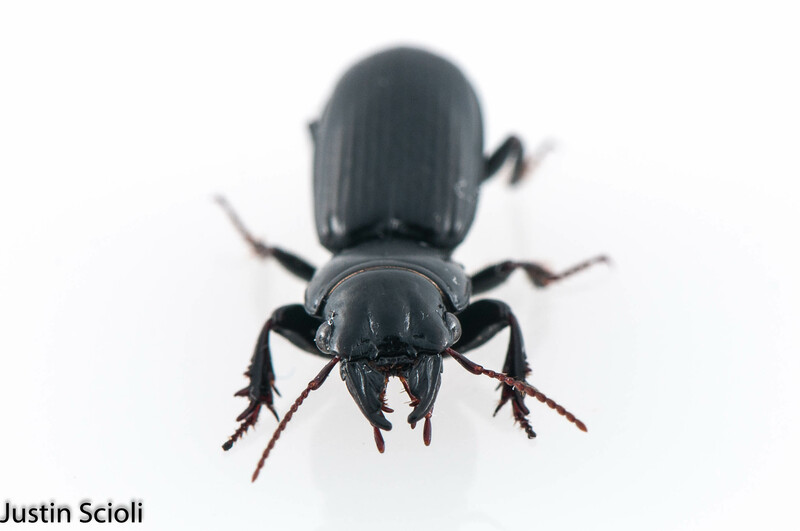 I am indebted to our newly adopted dog for the first of these two, this Carabid beetle. She sniffed it out in the hopes of consuming it but luckily it was saved from her hungry jaws and shortly found its way into my whitebox. 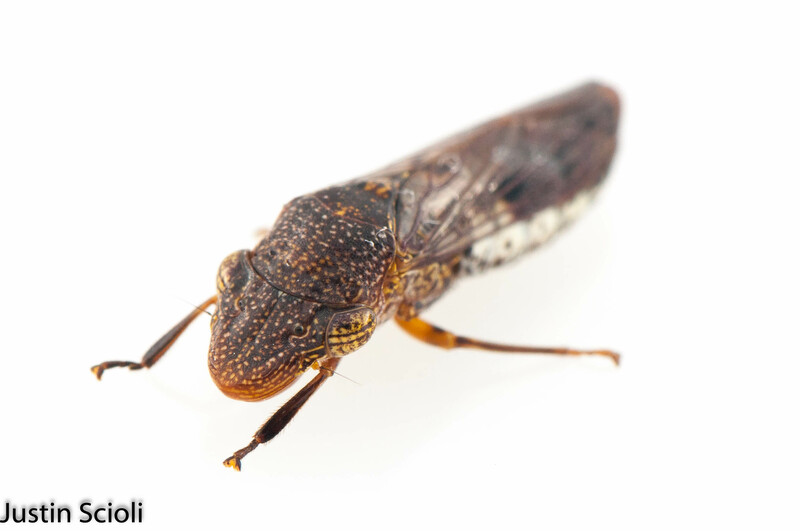 I am pretty sure this is a member of the genus Scarites, however I am unsure if it is S. vicinus, S. quadriceps or S. lissopterus. Unfortunately, it seems that the characters distinguishing these three species involve the metasternum, and I wasn’t aware of a need to take a ventral photo. Live and learn, I suppose. Stare into the jaws of the beast! I do find its jaws very impressive. 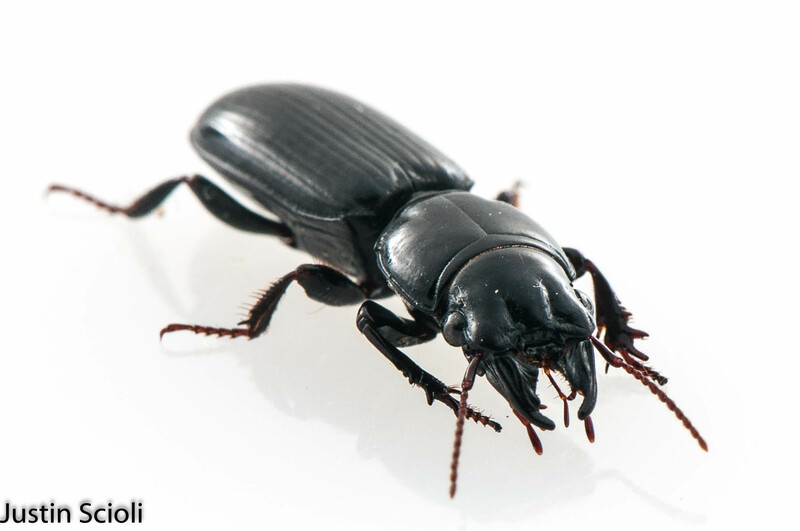 Ground beetles certainly have an aura of power. My next find would have been concerning in my former home of California, but I am unsure what to think of it here in southern Louisiana. 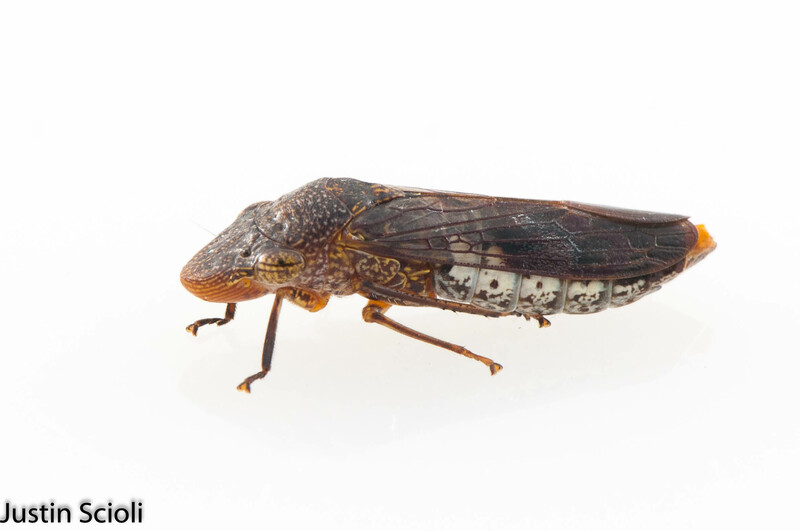 The glassy-winged sharpshooter, Homalodisca vitripennis, is a famous agricultural pest that has been introduced to much of the U.S., infecting crops like grapes and citrus with vectored diseases such as Pierce’s disease and phoney peach disease. They are natives of Northeasten Mexico, but I am unsure if Louisiana falls within their native or introduced range. Regardless, they are fairly common this time of year around here it seems. Agricultural pest or not, I do find the patterns of color and texture on these to be really beautiful. Coming next week: more Decapods from Belize! Stay tuned.